Raúl Di Blasio (born November 14, 1949) is an Argentine pianist. The next step for him was to leave his hometown and go to Buenos Aires, where at age 20, he began practicing music 12 hours straight per day. He comments: "I felt the wings on my fingers". Di Blasio has made a historical duet in Santo Domingo with the international renowned French pianist Richard Clayderman. 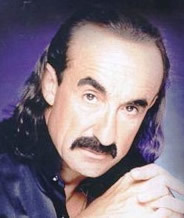 Di Blasio made duets with Tomey Sellars, Alejandro Fernández, Marco Antonio Solís, José José, Armando Manzanero, Marco Antonio Muñiz, Yolandita Monge, Julio Iglesias, Rocío Dúrcal, Juan Gabriel, Michael Bolton, Los Tri-o, José Luis Rodríguez "El Puma", Cristian Castro, Vargas de Tecalitlán, José Feliciano, El Consorcio, London Symphony Orchestra, Fernando De La Mora, Wendy Pedersen, and more. Otoñal (autumnal), a piano performance from his album Barroco, has been used as competition music by elite figure skaters such as Maria Butyrskaya, Johnny Weir, and Yuzuru Hanyu. ^ a b c Ankeny, Jason. "Raúl Di Blasio: Biography". AllMusic. Retrieved 2010-10-25. ^ "U.S. Skater Weir Hangs On". The Buffalo News. November 20, 2004. ^ "Hanyu Skating For Himself This Season". International Figure Skating Magazine. August 31, 2018. This page was last edited on 15 January 2019, at 09:00 (UTC).